This site was created to connect and re-connect with our classmates (even those who will not be attending our 60th Reunion). Our next goal is to make this site a scrapbook of memories for all classmates and their families. Our site is private! Everything you need to know about setting up a profile to gain access to the rest of our website is on this page. If you have questions, please contact Thomas Walker. All contact information (address, phone number, e-mail address) that you enter into this website will be kept confidential. The host of this web site is ClassCreator.com. They understand the importance of your privacy. Your personal information will never be sold to other sites. It will not be shared or distributed. In regard to class email news sent from us to you via this web site: If you have spam blocking or email filtering capabilities, please add noreply@classcreator.net to your email account as a safe sender in order to ensure you receive email communications from us. Please note that if you do not want your name and picture on this site it may be removed by contacting Thomas Walker. This will end all communications to you from the ST. JOSEPH SCHOOL Class of 1958, unless you ask that special arrangements be made. In order to access the pages that are password protected and blocked on this site, you must set up a profile by providing a minimum of your email address, and a password. To set up your profile: locate the "Classmate Profiles" link and find your name there and click on it. Follow the prompts to create your profile. As stated preciously, private information like your email address, home address, and phone numbers will not be visible to fellow classmates. We collect mailing addresses in the event that we need to contact you via the USPS or phone. Your information will never be given to other classmates without your permission. We encourage you to add a current picture to your profile as a master photo. This photo will be displayed in various areas around the site. It's also helpful to upload an additional "Now" photo, and a "Then" photo. Classmates will enjoy seeing how we've all changed over the years! 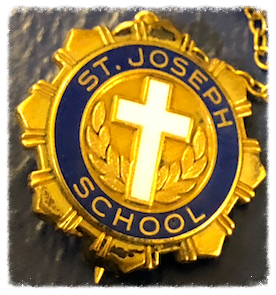 If your name is not already on the site, but you were part of the ST. JOSEPH SCHOOL Class of 1958, contact us and your name will be added. Updates: If you change your email address, USPS mail address, or phone number, please update your Contact Info so we have up to date information. That way you'll always be in the know about what your classmates are up to! If you forget your password simply click on "forgot password". If you have several email accounts, and you don't remember the one you used to set-up your account, contact Thomas Walker. This could take a while so please be patient. The site assembles a missing list for us, based solely on the names of people who don't have profiles; so until you have a profile, the site will consider you "missing". Also, please note: We need your help to find and contact every classmate. If you have information about any classmate, listed or not listed, please contact Tom Walker. Adding current pictures is not a requirement to participate on the site, but it certainly is a nice way to get to know people again; and, well....we've all changed a little over the years! If you need help, please contact Tom!